I made this really simple tutorial for a friend just getting started and thought I'd share it here. 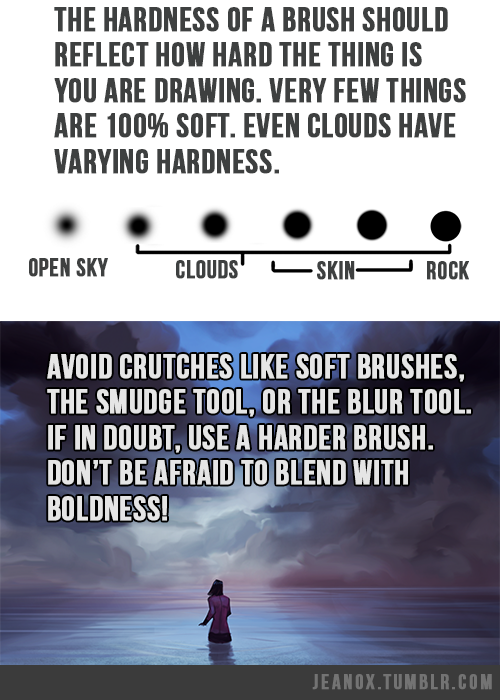 When I started blending with hard brushes it changed everything. Cool. do a mouse drawing tutorial next. The brush hardness part is interesting. I'll have to keep that in mind. I don't get the confidence or happy accident parts though. Confidence in brush strokes is an expression of stroke economy. You use less brush strokes to do something, and as a result it's both clearer what you intend to actually draw, and looks cleaner and more finished as well. Each stroke should be contributing to the piece. Some hope to get away with random artsy strokes. Random strokes makes random details. Random details distracts the viewer from the actual details of the painting or drawing. That way, if you can express an unimportant area in fewer strokes, you will have more freedom to detail in the focus of the piece. Happy accidents are exactly what they sound like, fortunate little details you didn't mean to produce, but happened anyways. 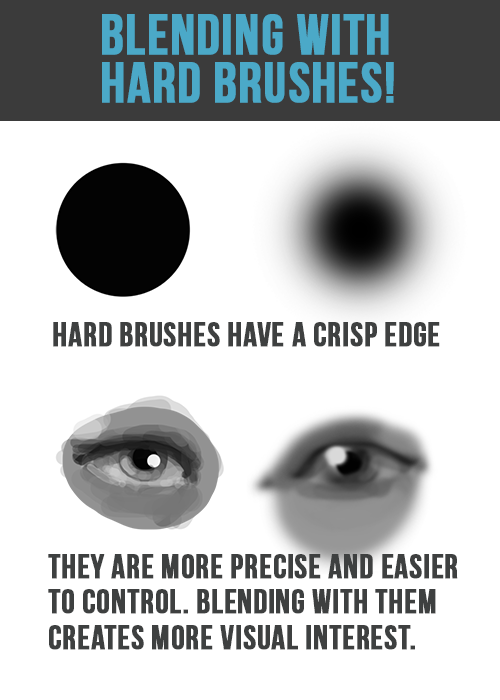 Hard brushes tend to produce small bits that, due to either context or imagination, create a small detail that enhance the verisimilitude of the piece. Soft brushes just mix things into an amorphous blob of indeterminate form. I agree about stroke economy; that would be interesting to visit that idea in it's own mini tutorial as well. Often times I give myself only X amount of strokes to express a concept rather than limiting myself in time. That being said, stroke economy doesn't have a monopoly on confidence. It all overlaps. But really good thoughts there that would be excellent to visit.